We Brumoters LOVE to predict the future for music hits and today we’ll be focusing on what’s going to be hot in 2015! From solo acts to bands, below are some artists that we believe that might just be lucky next year. 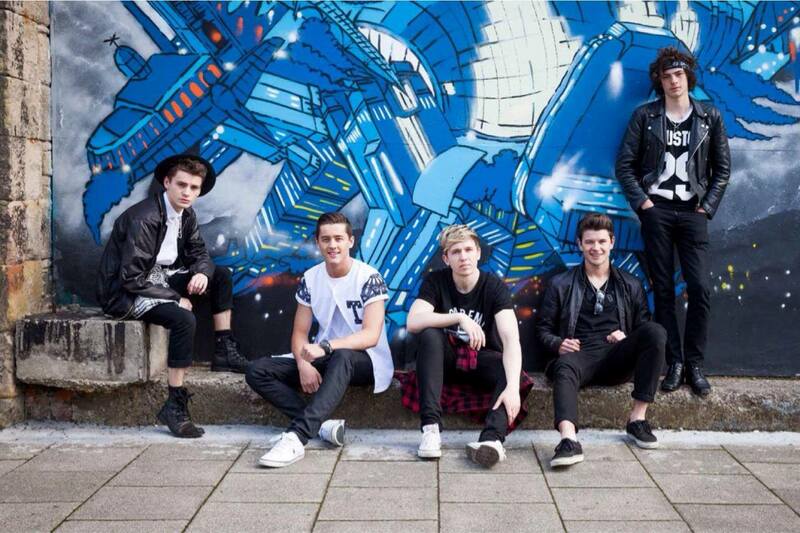 For years Ollie Marland has been on the Unsigned Scene. However, in 2014 he signed with Crown Talent and Media Group with the likes of Ellie Goulding and Jessie J in their arsenal. 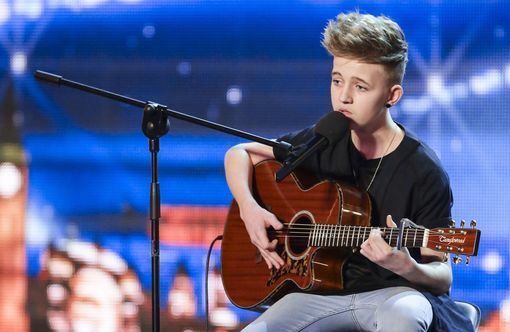 Ollie is set to break hundreds of girls’ hearts, but will 2015 be his year? We think so! 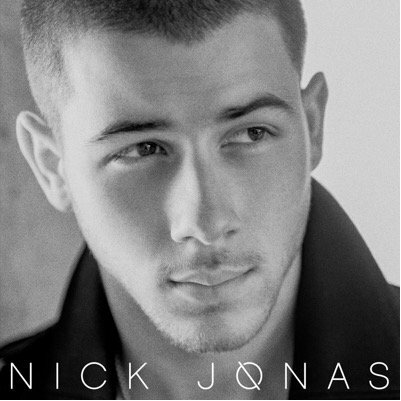 Those days are over though for youngest brother Nick Jonas, who is pursuing a much more mature and modern style of music and let’s just say it’s something special. 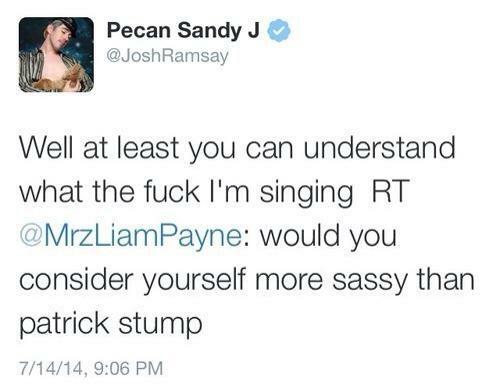 We can’t wait for the release of his solo album and to see if he will be bringing his music live to the UK in 2015. 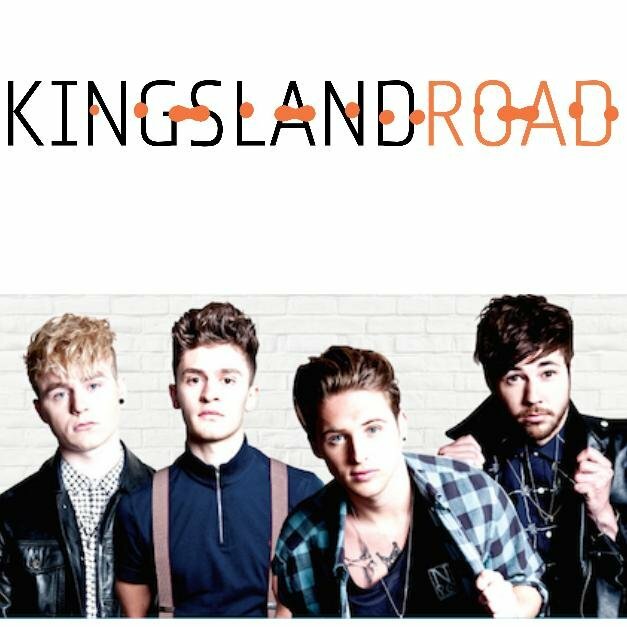 We have covered Kingsland Road many times throughout 2014 and we feel that 2015 will be their year to finally shine to the masses. 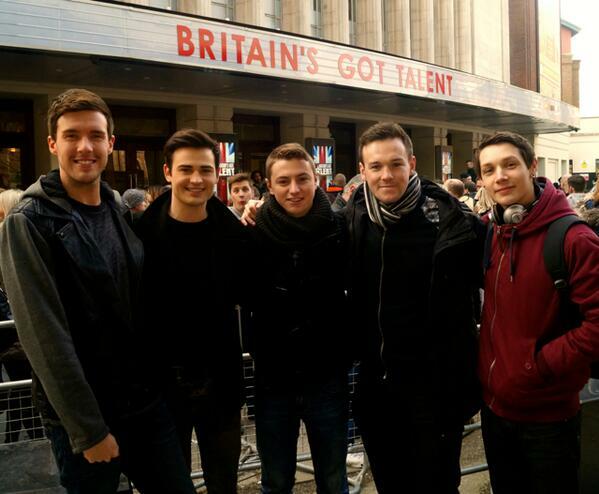 They are now a four piece – Booo! – and are set to release their brand, spanking new debut album with a tour across the UK AND the US – Yayyyy! We are looking forward to what’s coming next for these guys. We pride ourselves on always being on the lookout for top quality musicians and when we heard Lawson four years ago, we knew they were on to something good. 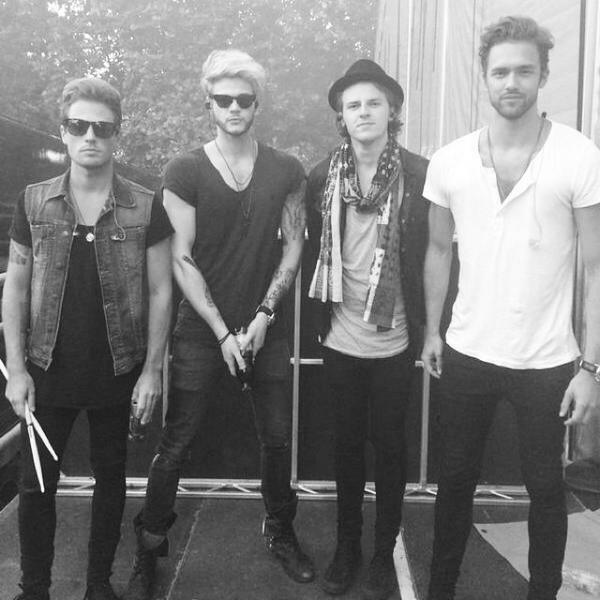 2015 is set to see Lawson release a brand new album, which if their last album Chapman Square is anything to go by, we can’t wait, and especially as in the land of Lawson this means a tour. 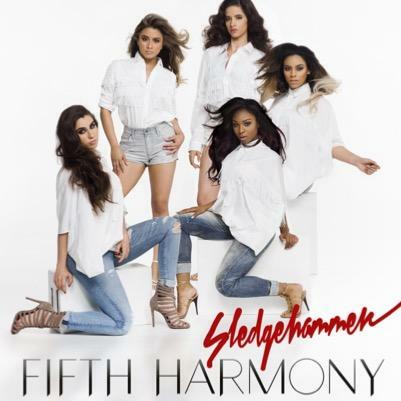 After taking the US by storm with their powerful, pro-female image and a strikingly amazing UK debut on this year’s X Factor, we wouldn’t be surprised if Fifth Harmony rocket up the UK charts in 2015, rivalling Little Mix for the top spot on the girl band front. 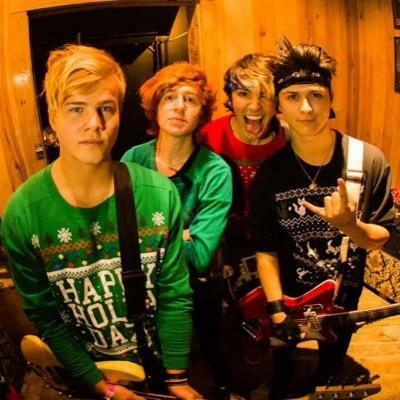 Hollywood Ending are those Punk A$$ Kids that our Mama’s warned us about, they are infections, fun and that little bit naughty… but we LOVE them. We definitely think they are some of the brightest young talents and are worth checking out as we are predicting big things to come from this four piece. 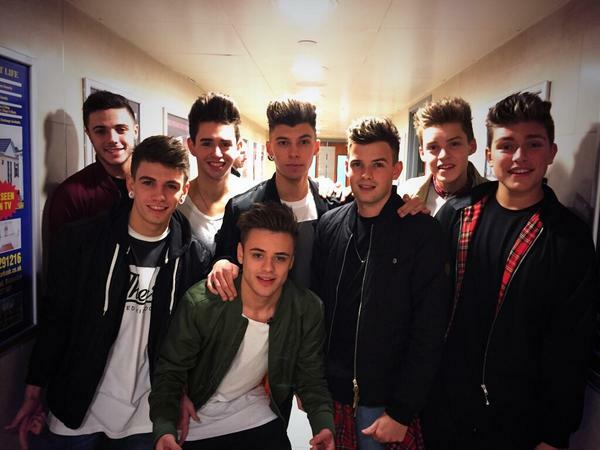 After leaving this year’s X Factor, we feel that Stereo Kicks have great potential on the Boyband front, an 8 piece hasn’t been successfully formed before and we are intrigued as to what is next to come from their original music in 2015. Will they stay together or will the lads go back to being solo? 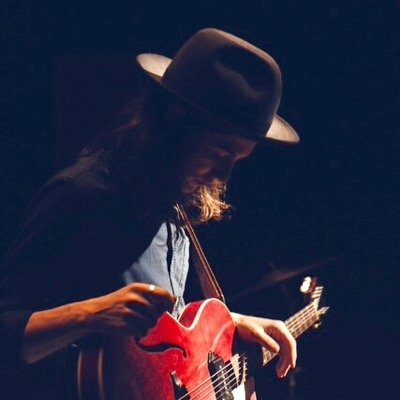 James Bay is an up and coming talent with a great voice and obvious promise to make it in the big leagues of the music industry. In 2015, Bay is embarking on a UK tour and we personally can’t wait to hear what’s coming next. 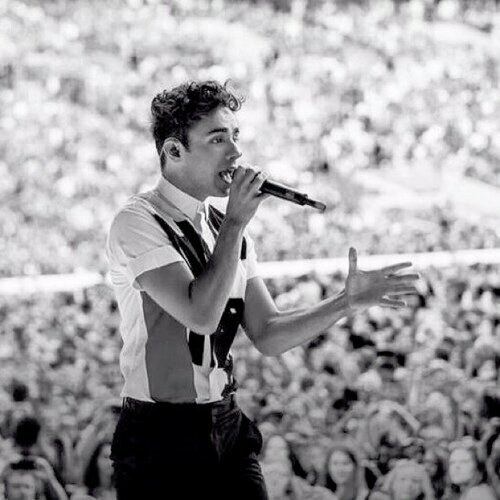 After the disbanding of one of our favourite Boybands- The Wanted, earlier this year, which brought many tears from fans and us Brumoters alike, Nathan Sykes is set to make a comeback. In 2015, the baby faced crooner, is set to release his debut solo material and its safe to say if its anything like his collaboration with Pop princess Ariana Grande, we are excited! Sykes will definitely be one of the most wanted in 2015. Here at Brumotions we love to hear from you, let us know if you agree or if there are any other artists you think we should be featuring. Here at Brumotions it’s no secret that we LOVE a good boyband and we recently discovered a Scottish band with heaps of potential that will not disappoint… and yes ladies they have those cute Scottish accents that will send you giddy! 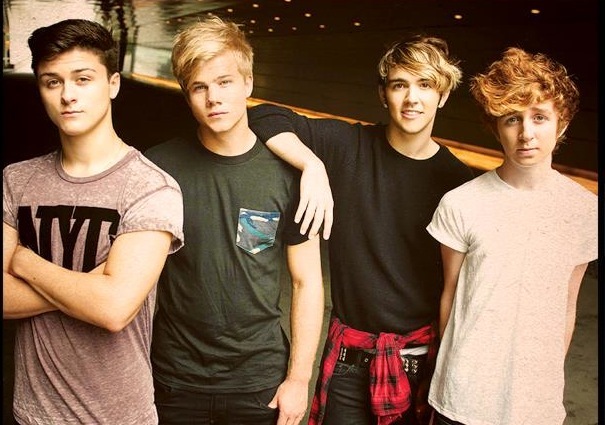 Rewind made up of James, Jack, Lewis, Ryan and Kieran (see below image, Left to Right) are beginning to take over the UK music scene with their cheeky personalities, great chemistry and just as incredible vocals. This week we got the chance to see the band perform in Birmingham and we were very impressed with their mix of original songs and covers of crowd favourites including Robin Thicke’s – Blurred Lines, as well as their energetic performance and stage presence leaving many of the teen audience swooning and wanting to learn more about this new band who had previously gone relatively unheard of in the Birmingham area. 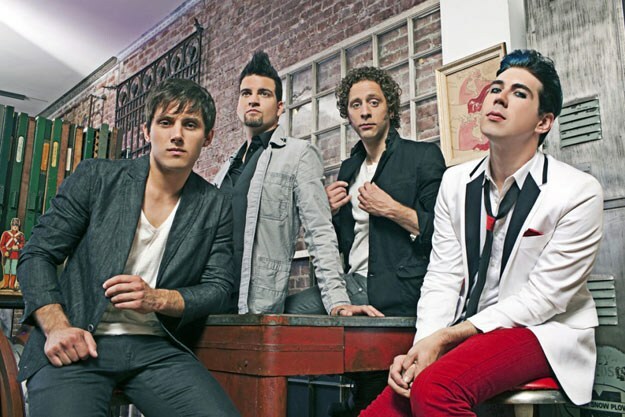 Rewind recently released a cover of 5 Seconds of Summer’s number one hit ‘She Looks So Perfect’ and have gone on to upload original songs ‘She Said’ and ‘Out Of My League’ which you can check out below. We love what these boys are producing and it’s nice to see a band trying to ‘take on the world’ without TV Talent shows. Here at Brumotions we are looking forward to hearing more from this boyband in the near future, make sure to ‘Follow’ them on twitter, ‘Subscribe’ to their YouTube and ‘Like’ them on Facebook. With so many new artists appearing on the music scene, we have once again completed a search both far and wide! (though luckily this one was closer to home…) and we want to introduce you all to the amazing band that is… Hollywood Ending! Although we – here at Brumotions – had listened to these guys nearly two years ago. 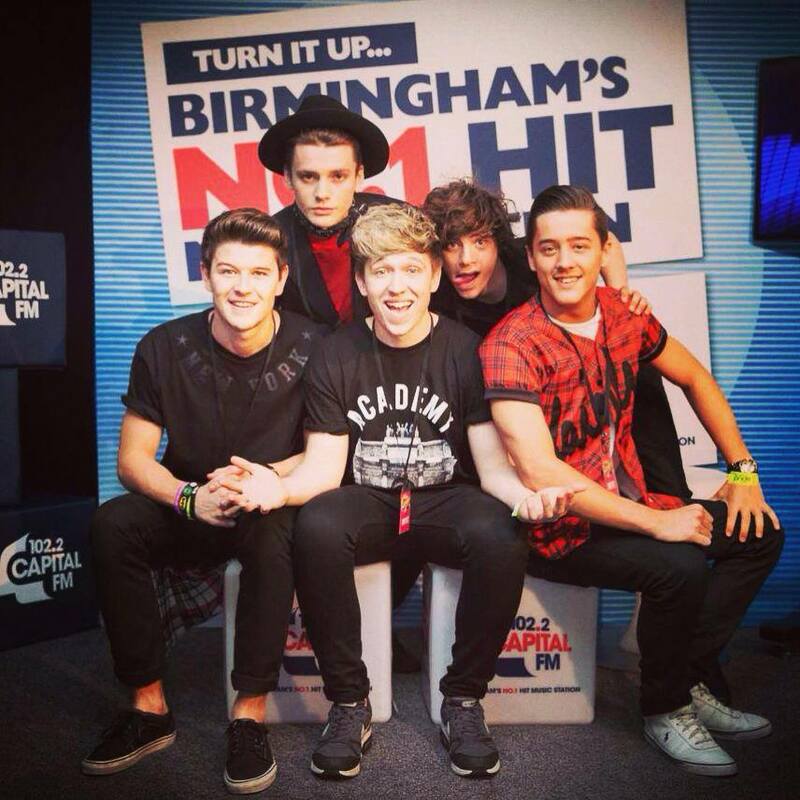 We finally gained the chance to see them live at this years OMG Live event in Birmingham (alongside Union J and Lawson). 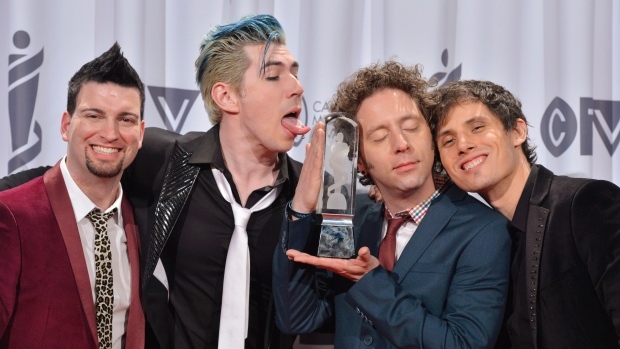 Consisting of Tyler, Cameron, Dan and Chris (the last of which is related to the incredible James Bourne from Busted), the band have appeared on many tours across the US and Canada. But don’t you guys worry! 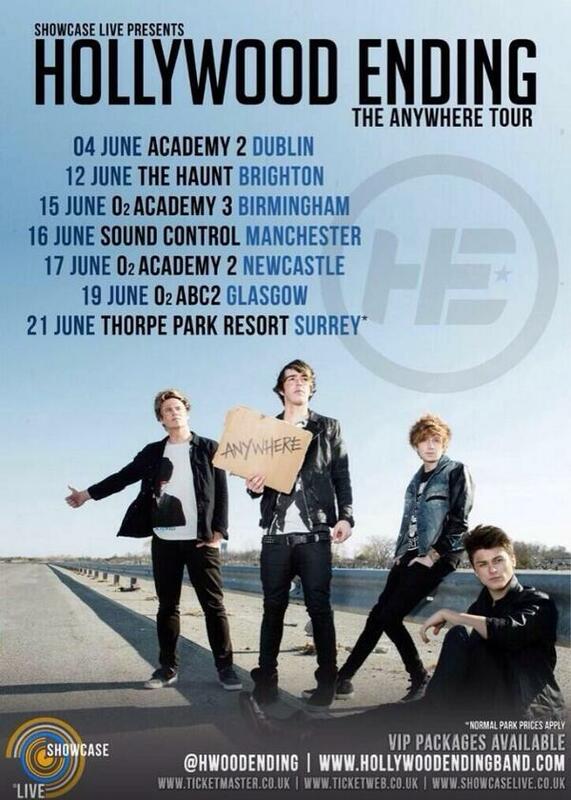 The lads are staying in the UK for a while, to not only support McBusted on their tour from May 11th until the end, but you can also catch them on their very own, headlining tour in June! Hollywood Ending are a young group of lads who love to have fun on stage and their relentless energy is contagious and will leave you dancing and singing along! With an incredible arsenal of songs and amazing musical talent, these boys are definitely one’s to look out for and we recommend that you take advantage and see them on their headlining UK tour in June! 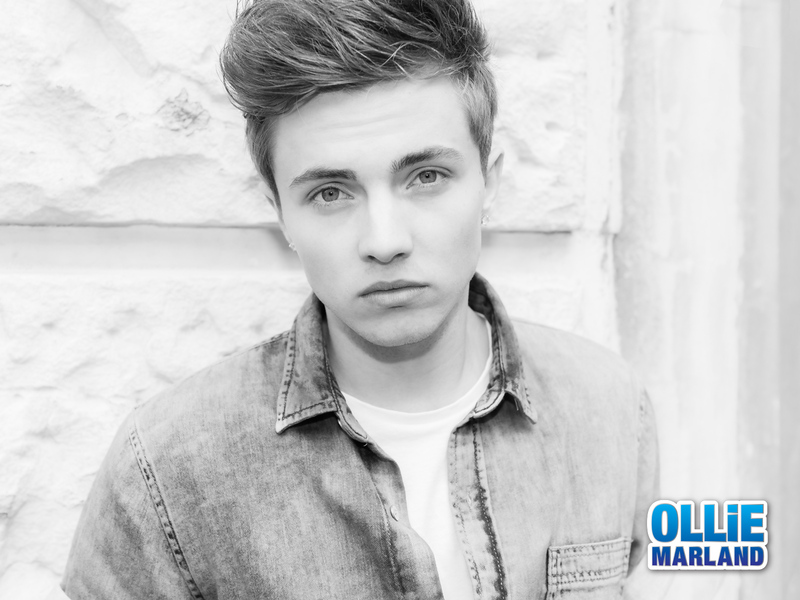 Here at Brumotions, we are always keeping our ears open for new musicians and we recently came across Ollie Marland! with his perfect hair and smooth vocals he is certain to break many teen hearts. Marland is hotly tipped for success in the Music Industry after signing a management contract with Crown Talent & Media Group and touring with top names such as Union J and Jessie J gaining a large following on his travels around the country. Ollie has been in the studio, writing, with some big music names including The Wanted, heartthrob Nathan Sykes and Guy Chambers. Marland’s cover of ‘Going Home’ was also recently nominated for Best Drake Cover by On Air With Ryan Seacrest. He also recently released his cover of Coldplay classic, Yellow, his fresh and mellow vocals make this cover easy on the ears and it’s a refreshing change to hear a young talent covering something other than the norm. Ollie is also set to appear at OMG Live in Birmingham and at the British Summer Time Festival in Hyde Park, London alongside McBusted, Backstreet Boys, The Vamps and Lawson to name a few later this year. Ollie Marland is stealing the hearts of many teens along his path to success in the music Industry and we are looking forward to hearing what is to come from him in the future!